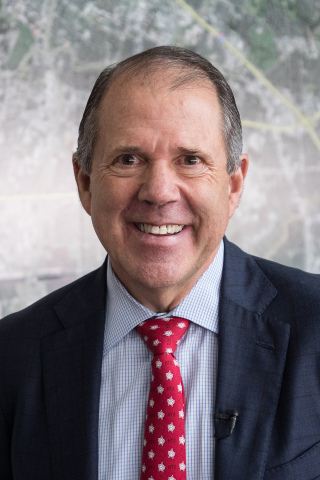 HOUSTON—(Realty News Report) – Houston apartment developer Ric Campo was appointed Chairman of the Port Commission of the Port of Houston Authority Thursday by the City of Houston and Harris County Commissioners Court. Campo is Chairman and CEO of Camden Property Trust, which owns 159 apartment community with 54,480 units around the nation. “The best is yet to come for our region, and our port will help drive us into a bright future,” Campo said. Houston Mayor Sylvester Turner and Harris County Judge Lina Hidalgo presided over the meeting, which was held at Port Houston’s executive offices. By state statute, the Chairman of the Port Commission is appointed by the governing bodies of the City of Houston and Harris County Commissioners Court in a joint session. Campo will replace Janiece Longoria, whose third and final term as chairman expires Feb. 1. Camden Property Trust, Campo’s firm, a REIT based in Houston, has 1,600 employees. Camden is now constructing a $140 million, 20-story, 275-unit residential tower downtown next to the Toyota Center – its first ground up high-rise construction in Houston.